All sports clubs, communities and regions who operate a bank account should comply. All bank accounts should be opened through Special Olympics Ontario and should carry a transit number 06702 of the Royal Bank of Canada. You may have more than one account such as General Account, Trust Account, and/or Bingo Account. A General Account is used for normal programming activity. A Trust Account is used for Bingos, 50/50 Draws, Nevada and other lotteries governed by the Alcohol and Gaming Commission. No other bank accounts will be accepted for use under Special Olympics Ontario activity. Forms can be requested by mail or printed from the website at www.specialolympicsontario.com. If you have questions about your current account, please contact the Special Olympics Ontario at 1-888-333-5515. Complete the form “BANK ENROLLMENT/UPDATE FORM” plus “SIGNATURE CARD” and mail them to Special Olympics Ontario at 65 Overlea Boulevard, Suite 200, Toronto, M4H 1P1. Please Do Not take this form to your local Royal Bank branch. The name of your account must include the extension “-Special Olympics Ontario” (e.g. London Community- Special Olympics Ontario). Make sure you include a minimum of 2 non-related signing officers plus their signature specimen. If the signing officers are new volunteers, please make sure you have included or have previously submitted their VOLUNTEER REGISTRATION plus a POLICE REFERENCE CHECK form. Any changes to an existing account must repeat the same procedure. A confirmation that the account is now opened will be mailed to you indicating your authorization code. Please keep this copy for your records. The Treasurer will be responsible for keeping sufficient funds in the account prior to issuing cheques for payments. Bank charges for issuing NSF cheques apply. A supply of cheques will be provided by the bank once the account is set up. 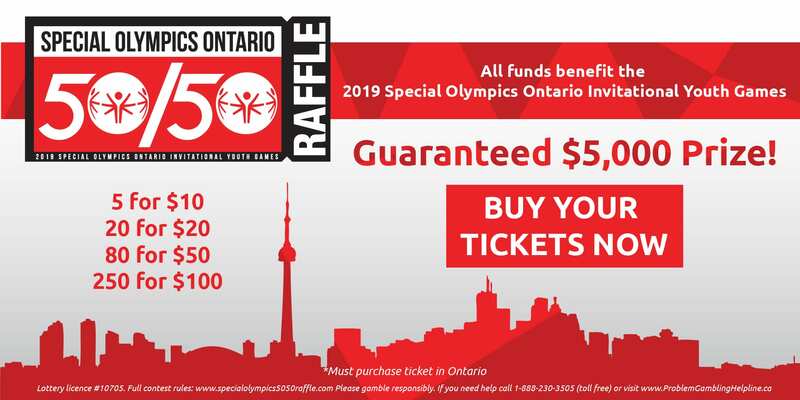 To re-order cheques simply call Special Olympics Ontario and provide your account number, name of account, last cheque number and quantity of cheques to be ordered. A minimal cost will be charged by Royal Bank to your account. An initial supply of TRANSACTION AND DEPOSIT RECORD plus pre-printed DEPOSIT ENVELOPE should accompany your Authorization Letter. Additional supply can be requested free of charge from Special Olympics Ontario. All deposits must be mailed to Special Olympics Ontario. Special Olympics Ontario will deposit them and transfer to your account within 7 business days of receipt. Complete the TRANSACTION AND DEPOSIT RECORD by filling out your account information. Attach all cheques to the top copy and keep the carbon copy for your records. Place the cheques and the top copy of the Transaction and Deposit Record inside the Deposit Envelope and send them to Special Olympics Ontario. For donations received, please fill in the full name and complete address with postal code of the donor, donation amount and write YES in the box for tax receipt. Tax receipts are issued for donations of $20.00 or more. Please note that registration fees are not eligible for a tax receipt. If you have collected deposits that do not require tax Receipts, you do not have to itemize each cheque just fill in the total lump Sum portion. Any cash that needs to be deposited should be replaced by a money order or cheque. Cost incurred for money orders or bank drafts can be reimbursed by indicating the amount on the form and attaching the receipt. Please do not hold donations to be deposited for a long period of time. Cheques become staledated and will not be able to be cashed or will bounce back from the bank. If you wish to accumulate deposits, please hold for no more than 30 days. You should receive a monthly statement from Royal Bank regarding your account. Please reconcile your account by comparing your transaction and deposit copies against the credit transferred to your account. DATE, CHEQUE NO., PAYEE NAME, CHEQUE AMOUNT, GST AMT, DESC. The Treasurer must prepare a quarterly report summarizing account activity 4 times a year. This can be in the form of balance sheet and income statement or a simple revenue (donations received) and expense (cheques issued) Summary. The Treasurer must be prepared to present this report to the community/club meetings.  Registered Charities are entitled to 50% of GST paid and 82% of the provincial portion of the HST. Your club, community or region can submit a claim every quarter. Complete CERTIFICATION CLAIM FORM and forward to Special Olympics Ontario. You do not have to submit copies of the actual invoices however; you must keep them for at least 7 years in case of audit. It is the responsibility of the Treasurer to collect from it’s club/community members for contributions for registrations fees, uniform cost, and other individual contributions required. The funds must be collected prior to placing the order with suppliers. The amounts collected are to be remitted by issuing a cheque to the appropriate vendor upon submission of official Invoice.